Despite the guarantee of the Fourth Amendment, U.S. law enforcement and intelligence agencies have made a habit of spying on the citizenry. 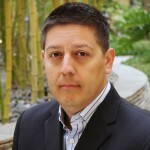 But in the 21st century, the internet and the ability of computers to store and process vast amounts of data has allowed the government to collect vast amounts of data about each of us. Government surveillance goes well beyond the NSA/FBI mass surveillance programs revealed by Edward Snowden in 2013. 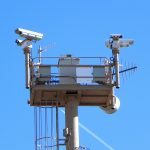 The Drug Enforcement Agency’s automatic license plate readers have been recording our travel for decades; the FBI’s domain awareness program records where we travel, record has been recording license plates for decades, Fusion Centers and Joint Terrorism Task Forces (run by DHS and the FBI respectively) gather information. Breaking: The NSA is no longer using the phone metadata program. It’s time for Congress to end it once and for all. March 6, 2019 – For years we’ve said that the NSA’s mass surveillance program that collects our phone metadata under Section 215 of the PATRIOT Act is unconstitutional, unnecessary, and should be ended. Now it seems that the NSA agrees with us (at least on those last two points). 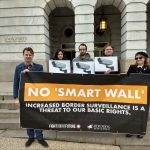 February 13, 2019 – DRAD and allies delivered thousands of signatures to Speaker Pelosi warning against providing funds for more surveillance technology at the border. February 6, 2019 – Open letter signed by groups from across the political spectrum opposes Democrat’s proposal for increased surveillance tech at the border﻿. 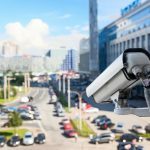 December 24, 2018 – Police zeal to embrace military-grade hardware is unprecedented, and the deployment of surveillance technology on the public often occurs with little public debate or warning.